Instagram will soon Support In-App Purchases! Does it ever happen that you are scrolling through your Instagram feed and come across a branded item that you decide to purchase and for that reason, you have to exit the app and access an external site/app from where you can purchase the goods? It can be a struggle sometimes. However, Instagram will soon be resolving this issue! Yes, that’s right! The social media platform will now allow you to purchase goods without requiring you to visit an external site. 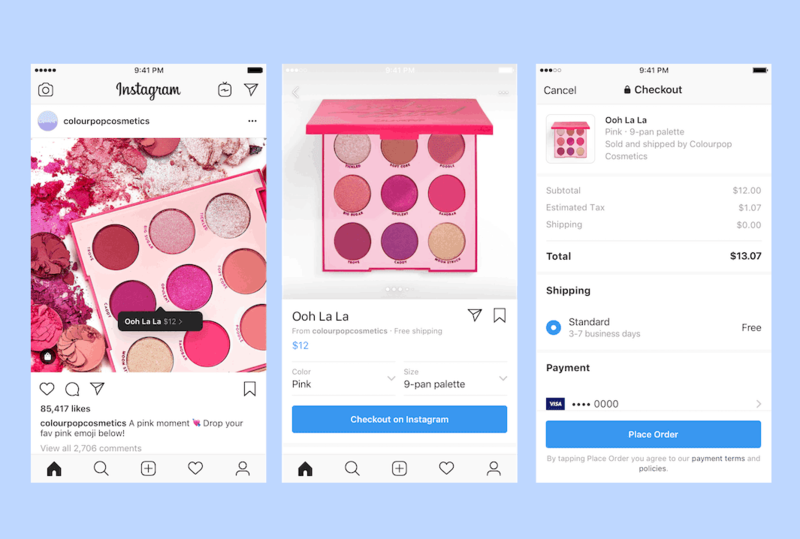 You can do it all within Instagram, using its new “Checkout” feature. As of now, this feature is being tested in the US with over 20 brands such as Nike, MAC Cosmetics, Adidas, etc. Additional brands are expected to be added soon too. So, what will happen is that when you decide to view the details of a product by tapping on its tag, in the near future, you are likely to spot a “Checkout on Instagram” tag as well. If you plan on purchasing the product, you will be asked to enter your billing and shipping information, before you can finalize your purchase. This sharing of details will be a one-time thing as your payment information will then be saved for future purchases, making it easier for you to manage the transaction process directly from Instagram. Related: Instagram's new Update is Strongly Inspired by DSLR & Obscura App, and we are all for it! If the feature performs well after its release, it will definitely be able to support e-commerce platforms like ChannelAdvisor, Shopify, among others. As of now, the only available payment options are PayPal and credit cards. Ever since the Shopping channel was added to the Explore tab, the number of people, tapping on such posts to view details, has increased by nearly 40 million. This, and the fact that an “In-app” checkout feature will likely keep the users glued to the app, are well-enough reasons for Instagram to introduce this feature.